The Sturmgeschütz (assault gun) - an armoured self-propelled gun to support infantry assaults - was first requested in 1936. The chassis of the Panzer III was selected for the assault gun, with the first gun being the 75mm StuK37 L/24. In the quest for a low silhouette an all-round traverse was abandoned. Fitted low in the hull front plate, the gun had a 12-degree traverse to the left and right, and an elevation of 10 degrees and a depression of 10 degrees. The Ausf B was armed with the short-barrelled 75mm StuK37 L/24 gun, and had an improved ignition system, with a synchromesh transmission replacing the pre-selective type used in the Ausf A. Some Ausf Bs were fitted with a new six-spoke drive sprocket, plus an eight-spoke idler for the wider tracks. The StuG III was first used in small numbers during the campaign in the West in 1940, and by the end of the year 184 had been produced, with a further 548 in 1941. A total of 320 Ausf B variants were built between June 1940 and May 1941. 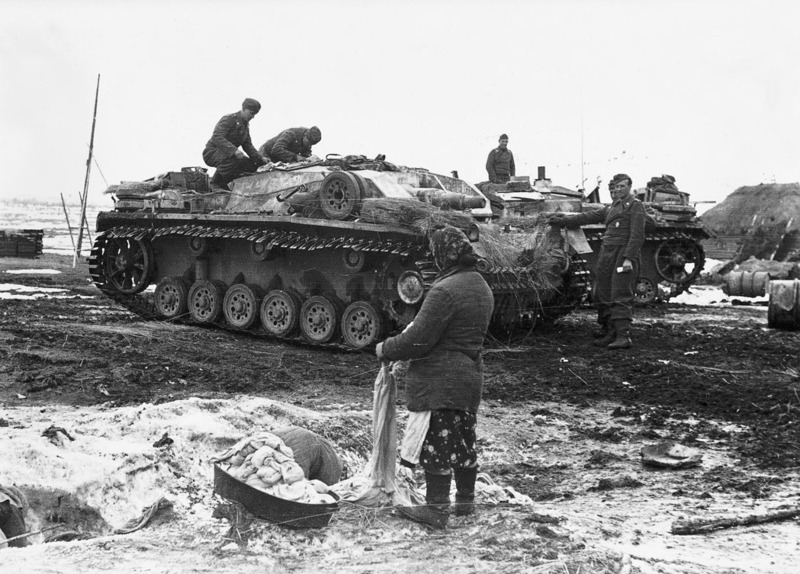 In early 1941 the German Army formed additional assault artillery detachments, which were equipped with Ausf Bs. They were used in the Balkans in the spring of 1941 and then during the invasion of the Soviet Union in the June of that year. Most were destroyed on the Eastern Front.